While many Wayne State students have the opportunity to share research, Jasmine Hect was able to share hers across the world. 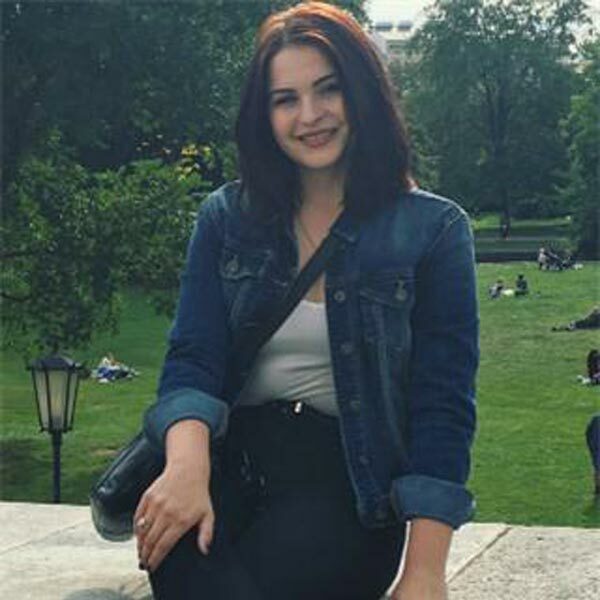 Hect, a pre-med psychology major, recently traveled to Vienna, Austria, to present her research on maternal prenatal stress programming and fetal neuroconnectivity conducted at Wayne State. “The conference was a huge success. We were able to meet our long-distance collaborators, make new connections and share our research with the resting state MRI community,” said Hect. At Wayne State, Hect has been part of several research projects. As a research assistant in the Social Cognitive Affective Neurodevelopmental (SCAN) Laboratory, she has been able to conduct research crucial to the health and well-being of new mothers and their children. Hect will continue to conduct research abroad during WSU’s summer semester, as she has just been accepted into the Junior Year in Munich program. Hect will live and study in Munich, Germany, from April through September. 2017. Outside of her research, Hect is the president of Art in Medicine, a student organization that brings together art and medicine in an effort to promote healing and stress relief in the community. With Art in Medicine, Hect and other members have volunteered throughout the metro Detroit area in a number of ways, such as making crafts with children in hospitals and art projects with WSU students to alleviate the stress of finals. After receiving her bachelor's from Wayne State, Hect plans to pursue an eight-year M.D.-Ph.D. program, continuing her studies on both the clinical and research aspects of neuroscience.